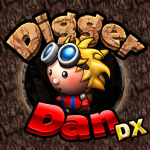 Earlier in the year the rather charming Digger Dan DX was taken down from the 3DS eShop - First Star Software, which owns the rights to Boulder Dash, had issued the takedown. Thankfully the matter was resolved, and developer Four Horses has been working to get Digger Dan back on the store. 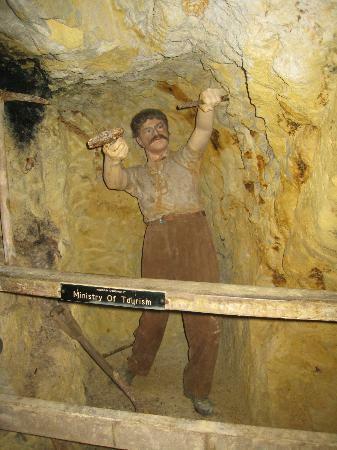 The good news is that it's now live once again, and 25 extra caves have been added into the game for free; they're "designed to test the abilities of only the best Digger Dan DX players". They're included with new purchases, and existing owners can also get them by applying an update to the game through the eShop. Though it took a while to get back, it's good news that a likeable title has made its way back onto the store. Are you a fan of the game, or contemplating giving it a spin with its extra content? Let us know in the comments. The update was notified when I tried to launch the game. Cool surprise, and happy to test the new levels ! Glad Nintendo weren't as silly as they might've been. Great news. Glad it turned out so well. This is great news. @ImDiggerDan - good work on getting your game back on the store! Looking forward to the new levels too. Thank you so much! Has anything at all been cut from the game or is everything still intact? Had been awaiting its return and wanted to buy it the first time around. This small game has received quite a bit of publicity. I'm really happy for the dev. @AcclaimDev Nothing has been cut. More levels have been added. I consider this one of the True cheap Hidden Gems on the eshop folks a great title TBF. I know that it was just a few comments here, but ImDiggerDan came across as the sweetest person in the world. I wanted to hug him/her. Sure there are billion dollar companies behind many games. But it's clear that this is a person with a lot of talent willing to sacrifice so much to make a (VERY GOOD!) game. The world is better with folks like this games like Digger Dan. Good news! I hadn't purchased it yet when it was taken down and was disappointed I missed my chance. I think I'll give the game a try now that's it's back. That's great! The way the game was taken down was really unfair, so I'm glad to know it's back up. I'll get it as soon as I get the chance. ..nice, welcome back and thanks for the extra levels ImDiggerDan! It's a goldmine of fun, now with more nuggets! @ImDiggerDan Since we are lucky to have you here, what are your development or publishing plans now that this little matter is taken care of? Woo, more nuggets have shipped with this gem! Yes! Happy to see it back, and now I can get back to telling everyone I know with a 3DS to buy it (and playing the new levels, of course). Aw nice touch adding additional content! I downloaded this to my sons 2DS when the news broke that it was first taken down, for whatever reason I felt an urge to help @ImDiggerDan! Glad it's now available again for everyone else. @ImDiggerDan I picked this game up yesterday, going to play it tonight. I'm super excited that it's back on eShop. I'm happy for you! @AcclaimDev Well, I should point out first that I have a day job (not Four Horses) which currently is taking up too much of my time. I don't have any firm plans from here. I'm looking into a couple of partnership opportunities which may or may not work out. There is an idea in my head for a game I would like to make, but I think it is probably too big a project for a company the size of Four Horses (basically me).